Earlier this month, Delhi Lt Governor Najeeb Jung had passed the recommendations by a High-Powered Committee for imposition of a transport cess of Re 1 on purchase of Liquor. The proposed transport cess on purchase of liquor in the national capital is unlikely to affect consumer's much as the excise department is planning a move to pass on the additional levy to the wholesalers, says a PTI report. 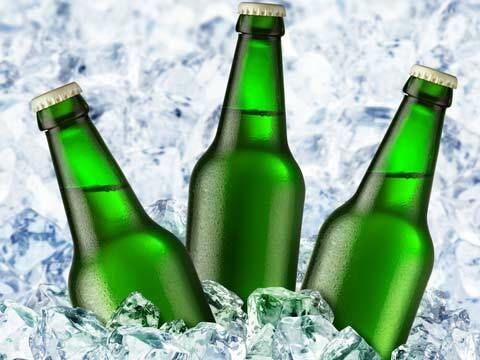 "We have come up with a proposal for wholesalers to be separately charged Re 1 on every bottle due to which MRP of liquor bottles will not increase," a senior excise department official said. Earlier this month, Delhi Lt Governor Najeeb Jung had passed the recommendations by a High-Powered Committee for imposition of a transport cess of Re 1 on purchase of each packet of cigarette or bottle of liquor in Delhi to generate funds for promoting public transport. "We are not in favour of liquor prices increasing again as a result of the transport cess on purchase of every liquor bottle in the national capital. A proposal has been prepared in this regard and it will be sent to the Lt Governor for his final nod," the official added. "According to the excise policy, if the transport cess is imposed, the cost per bottle of liquor will not increase by Re 1 but go up by Rs 5 to Rs 10. That may affect revenue collection. To avoid that, we are proposing that the wholesalers bear the additional Re 1 cost," the official added. Delhi government had in July revised excise duty, making liquor costlier by 8 to 12 per cent. The government hopes to earn an additional revenue of around Rs 250 crore through the hike.